Ruth was great-grandmother of King David, and therefore a direct ancestor of Jesus. At Naomi's suggestion, Ruth marries a kinsman of Naomi, called Boaz, but this is the perpetuate her dead husband Mahlon's line. When she saw that she was steadfastly minded to go with her, then she left speaking unto her. 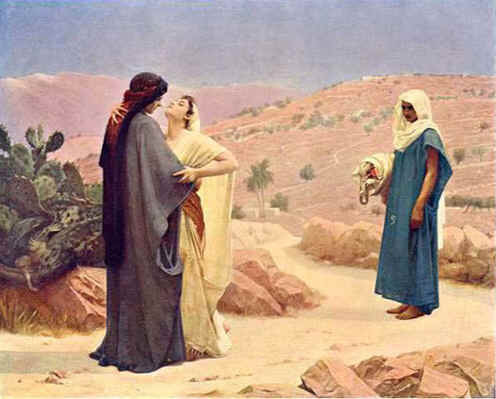 Whether or not there was a lesbian relationship occurring between Ruth and Naomi, there was a undeniably loyal and loving connection.